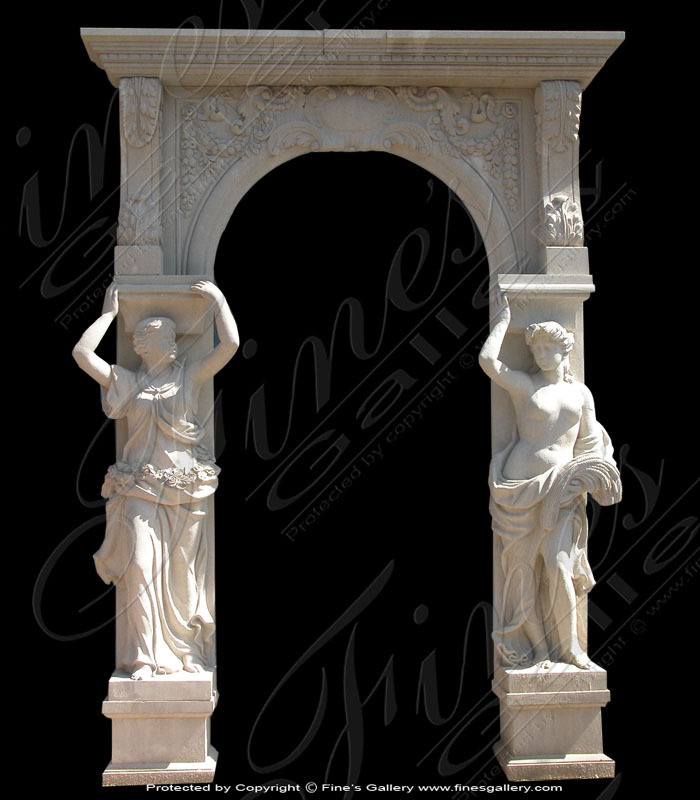 Two elegant Roman Aurora Maidens pose in place of columns in this finely designed doorway. 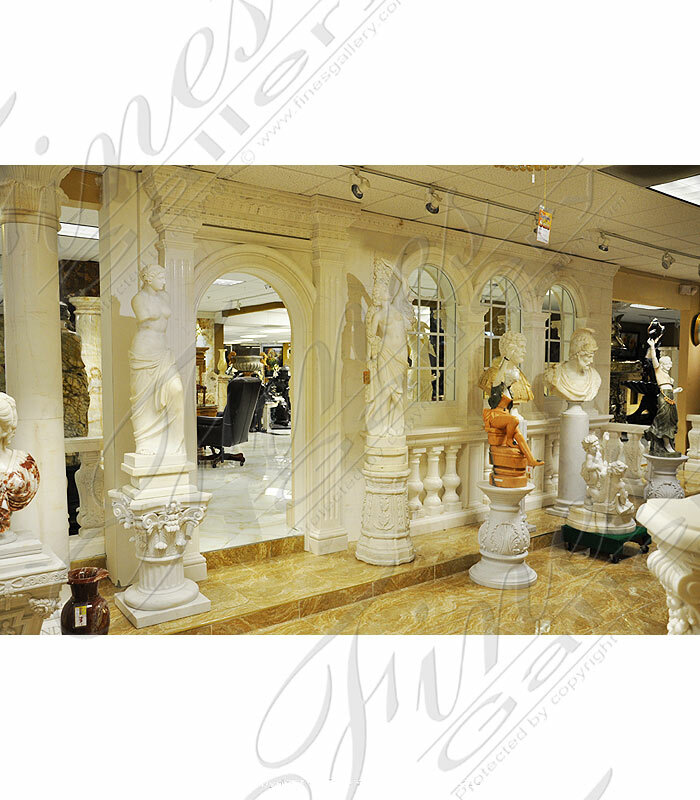 Expert craftsmanship shows the perfectly proportioned goddesses with flowing garments. 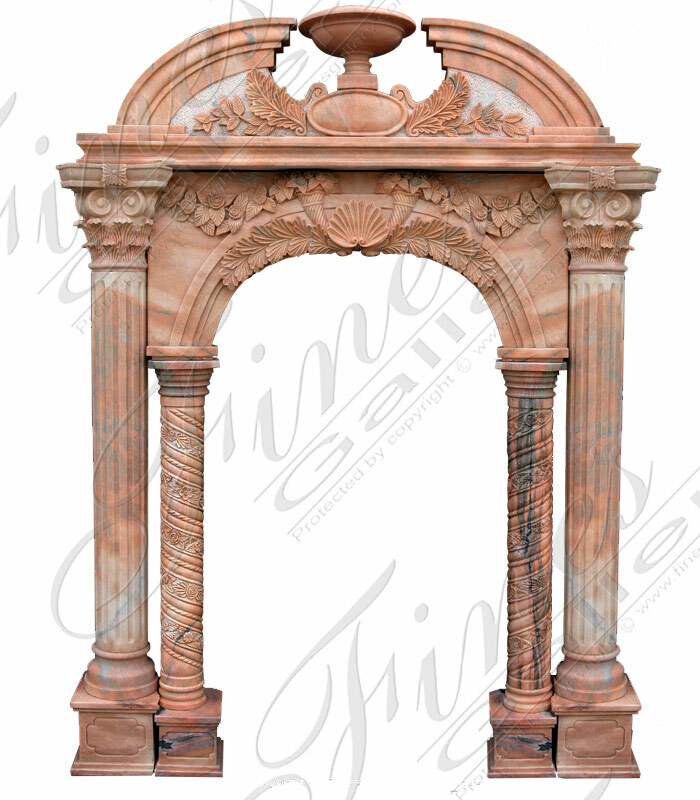 A delicate floral pattern decorates the top part of this superb structure. 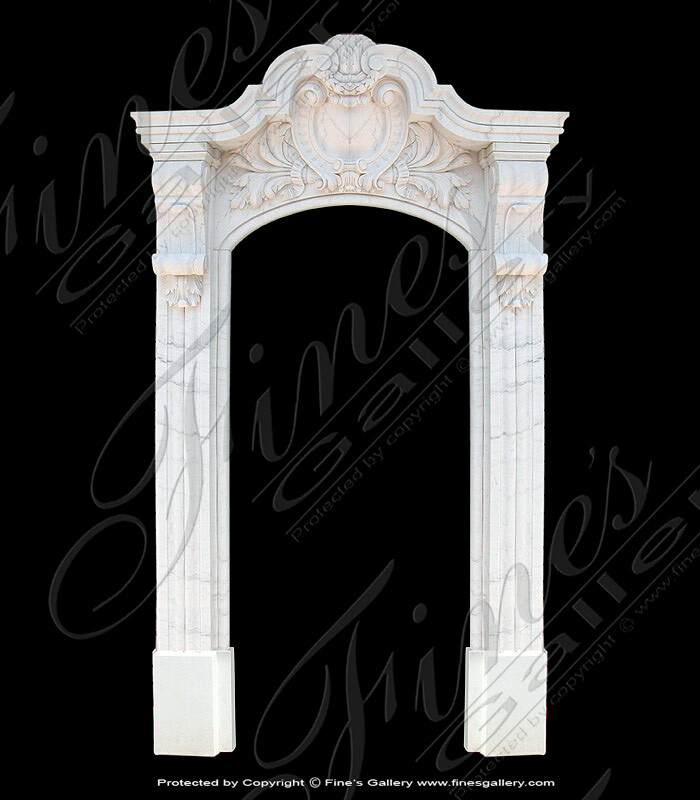 This white Carrara marble structure has hand carved roses decorating its front and makes the perfect doorway to a beautiful rose garden. 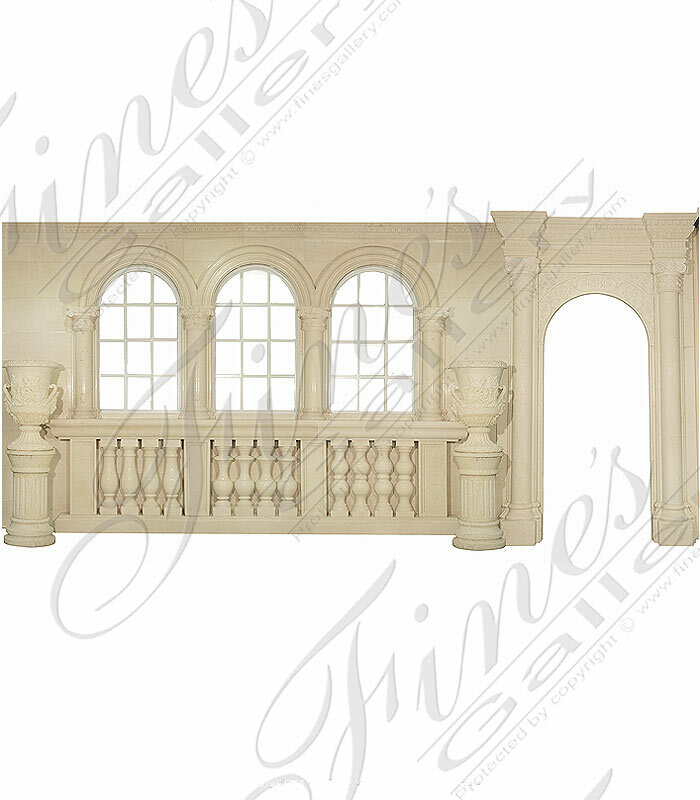 We completely customize its size and color based upon your decorating needs. 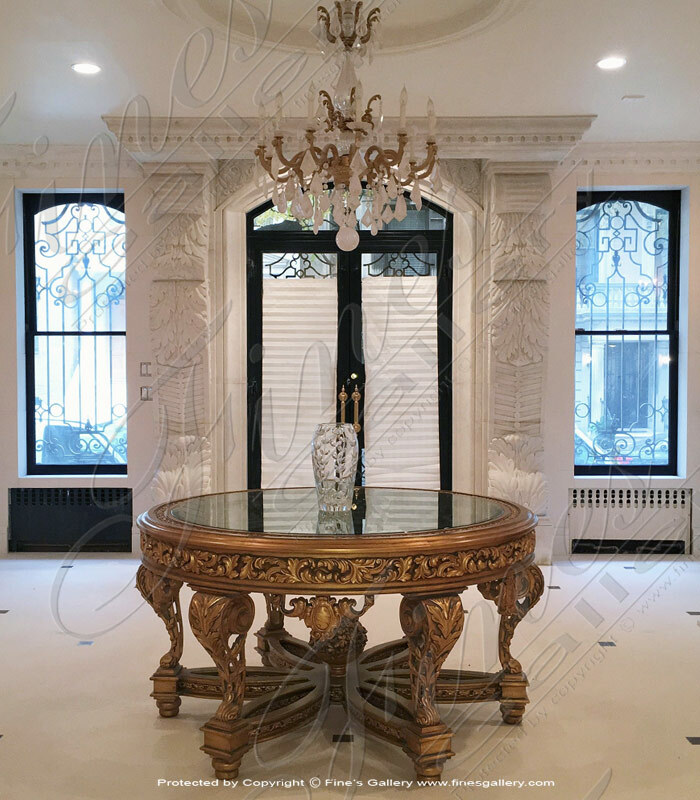 Contact Fine's Gallery today. 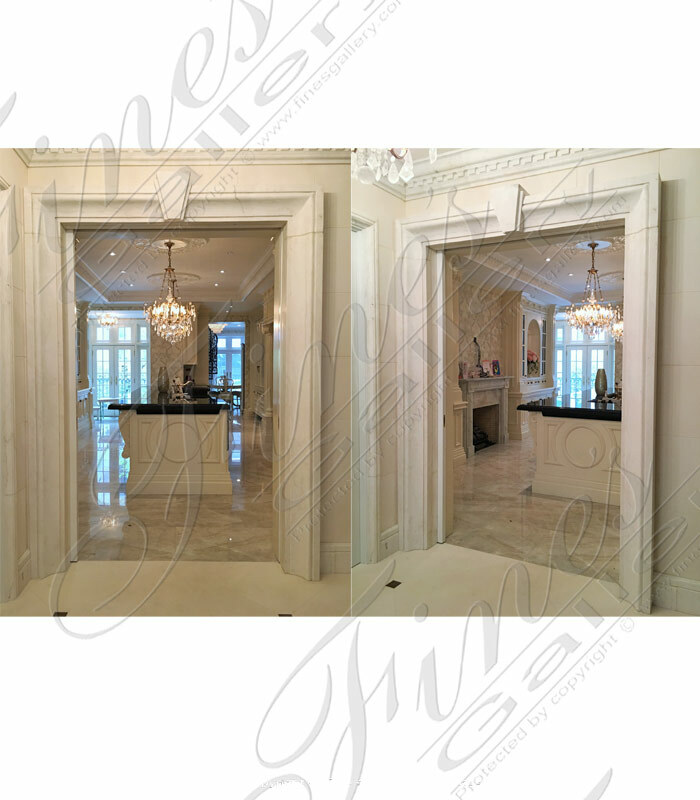 This grand Marble Doorway is hand carved from a radiant white marble that is pure elegance. 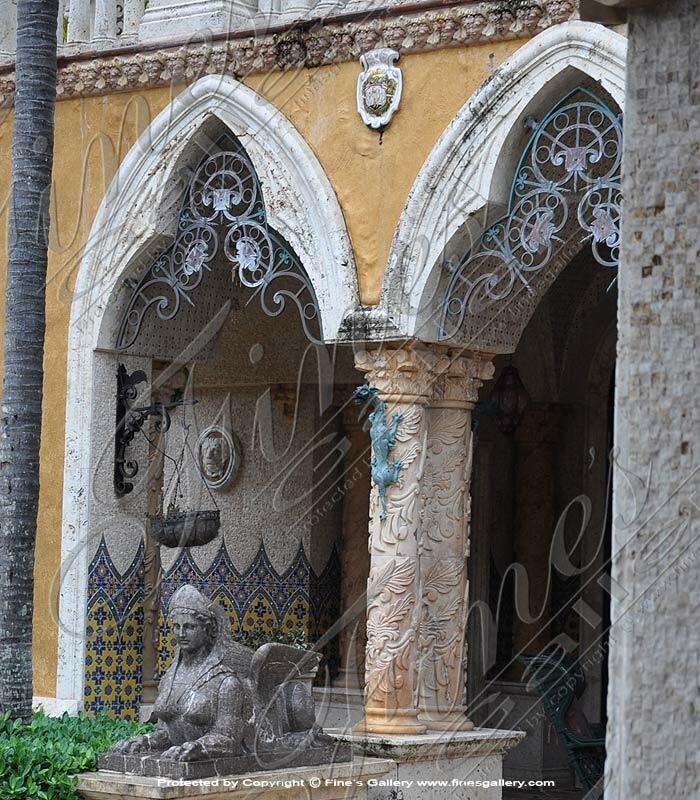 Beautify your home or yard with this glamorous display of art and craftsmanship that never fades or grows old. Contact us today for more details or a quote. 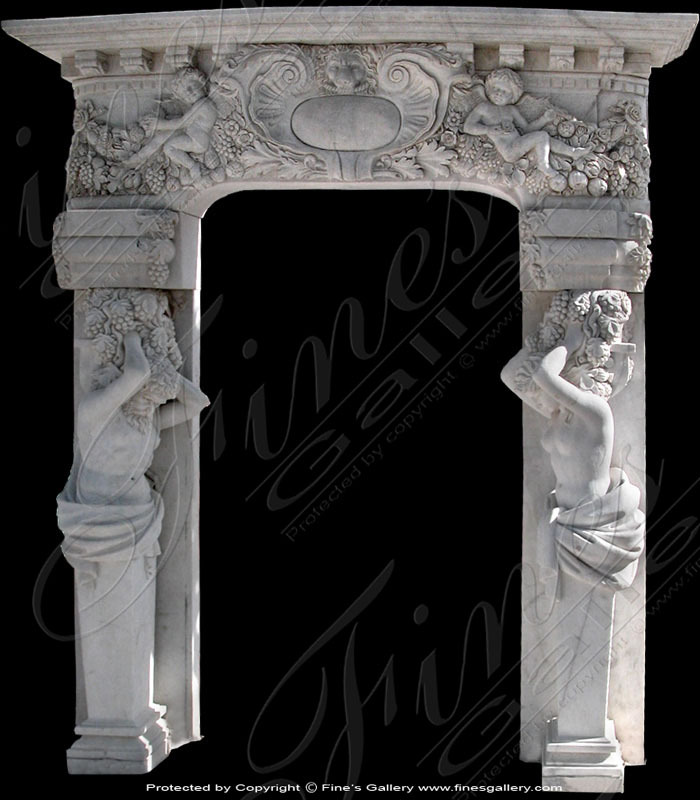 With classic mythical figures and abundant hand carved fruit, this splendid Marble Doorway is truly a feast for the eyes. 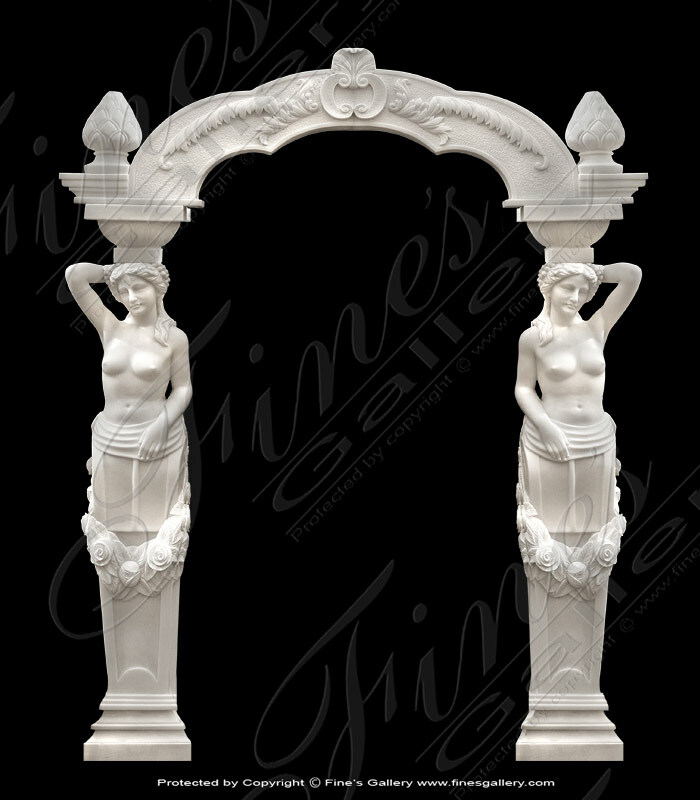 Featuring playful cherubs and inward turned maidens who hold up great bunches of grapes. 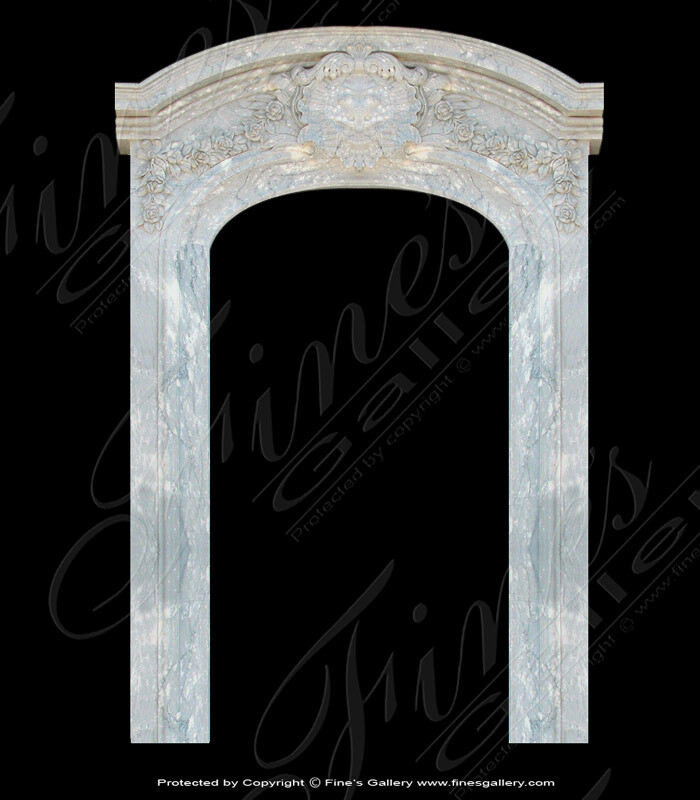 We offer this in any color marble or size. 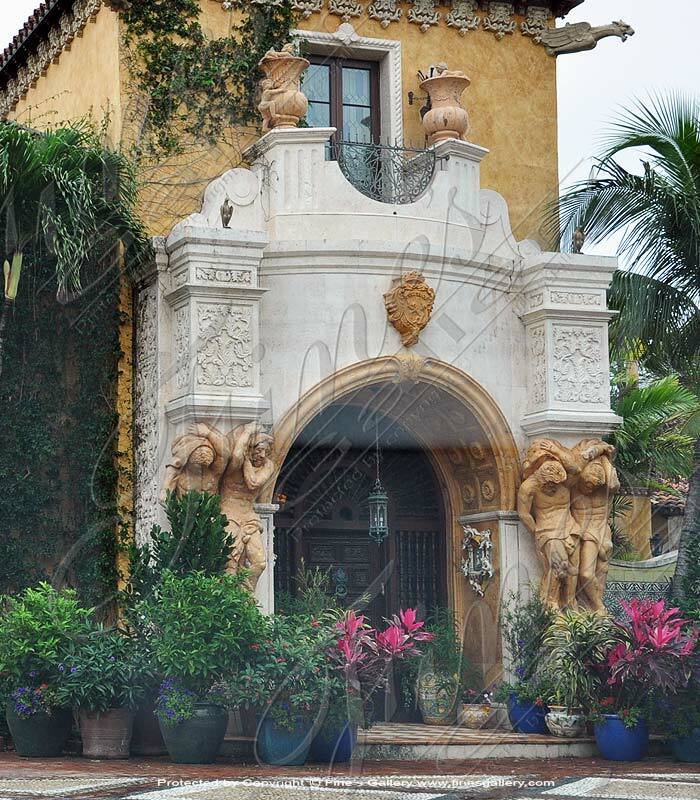 Exceptional design and immaculate artwork adorn this structure that illuminates refined beauty. 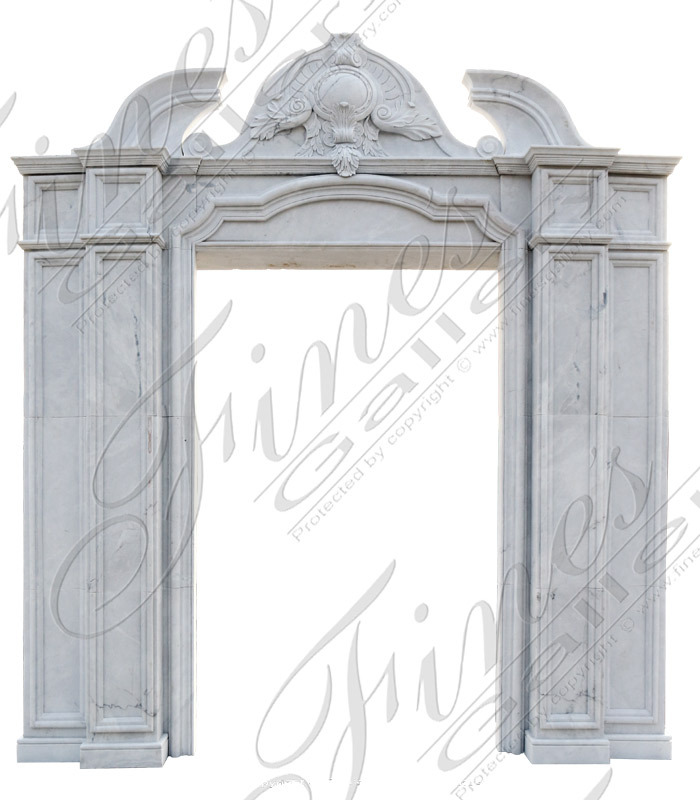 Two robed maidens stand on either side of the doorway in column-like fashion, and meticulous details cover the entire marble frame. 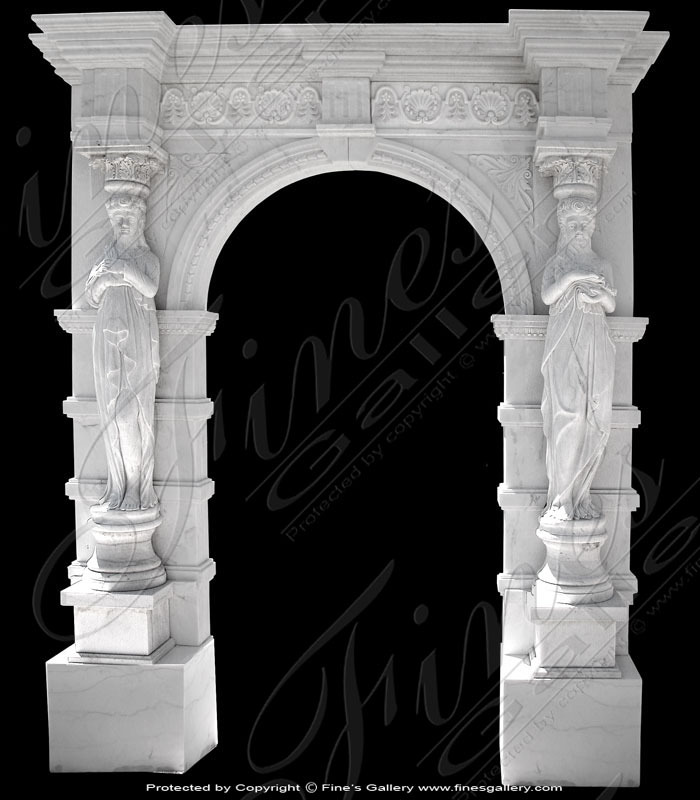 Carved from pure marble. A masterpiece! 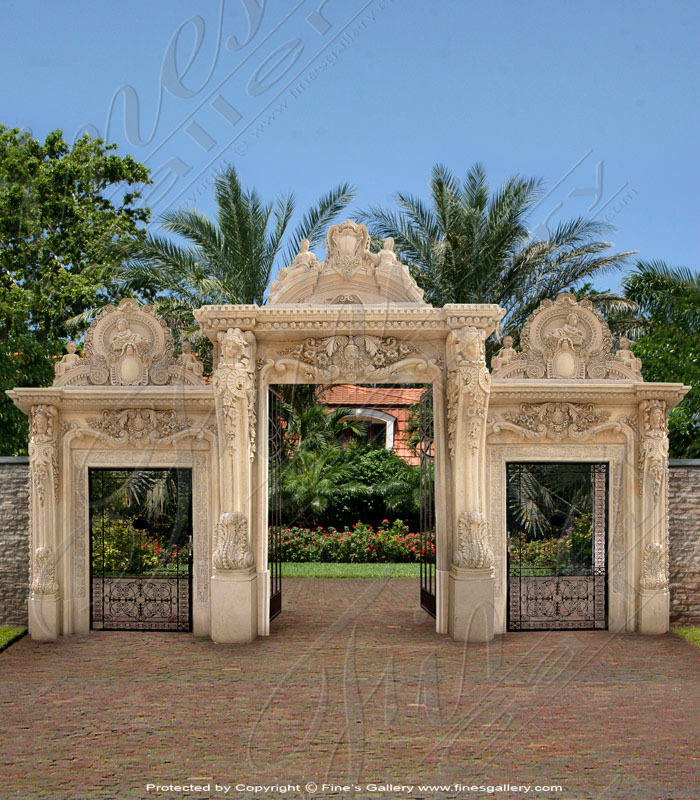 This triple doorway is the ultimate suggestion of luxury with its elaborate, hand carved details making a feast for the eye. 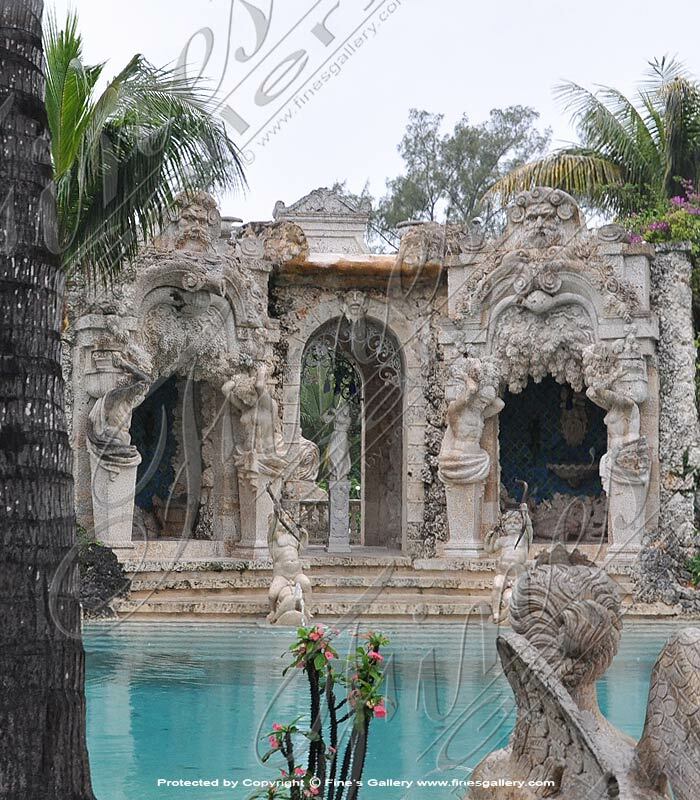 Nothing is left out in this marble structure with cherubs, maidens, flowers, and so much more. Call us today.